Held on the same day as the Australian Cup, the Newmarket Handicap is always an exciting sprint down the Flemington straight and it usually ends in the field splitting into two divisions. Redkirk Warrior has dominated the race with wins in 2017 and 2018, but there's new breed waiting in the wings and it's shaping up to be one of the must-watch races during the Australian Autumn Carnival. Graff might only be a three-time winner but the three-year-old colt is talented and will get into this race well off on the weights. The Kris Lees-trained son of Star Witness scored a win in the San Domenico Stakes before encouraging performances at the top age-group level. He ran second behind Lean Mean Machine on a heavy track in the Run To The Rose before running third behind The Autumn Sun in the Group 1 Golden Rose. Age-group form doesn't always stack up in the Newmarket Handicap but with more maturity under his belt, he looks a strong betting proposition and punters have already started investing. We are not sure which Autumn Carnival race Nature Strip will be set for, but he loves running down the Flemington straight and the Newmarket Handicap looks like the obvious target. Trained by Darren Weir, the talented sprinter is coming off a career-worst eighth in the Moir Stakes last start but he will have a run in the W.J. Adams Stakes on February 2 where he is paying 1.50 to win. 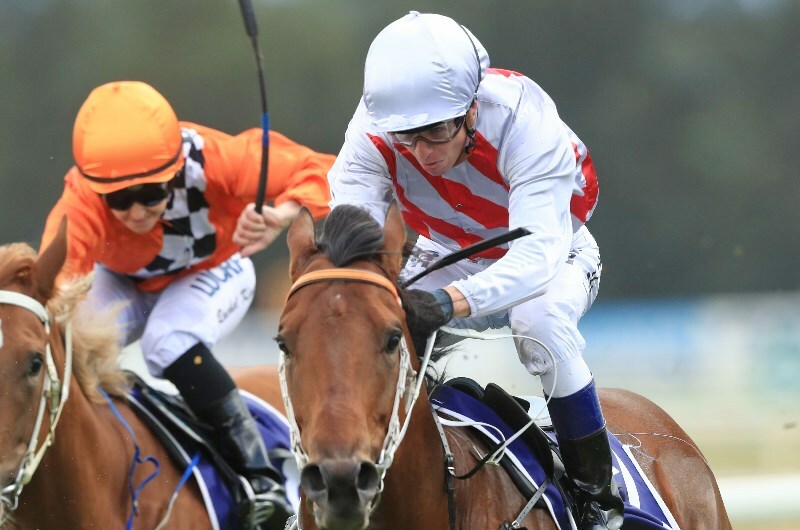 He's likely to come through that run a winner and that should shorten his odds for the 2019 Newmarket Handicap. Brutal looked good winning all three races during his first campaign and although his latest win in the Listed Exford Plate came by only a nose at Flemington, it was still a tough win over a subsequent winner. The Hawkes-trained colt hasn't been tested against any opposition close to what he will face in the Newmarket Handicap but he's still maturing and he will likely be a trending pick come race day.